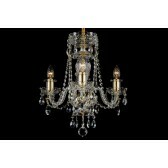 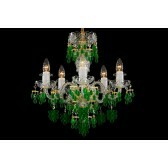 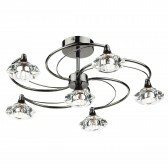 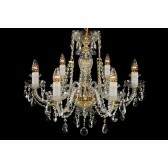 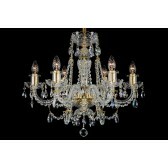 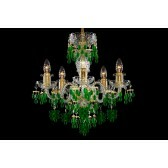 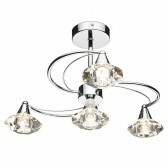 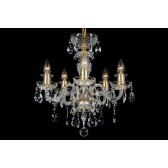 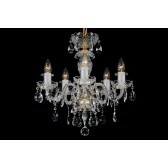 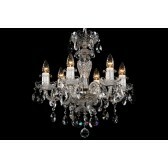 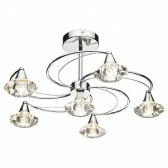 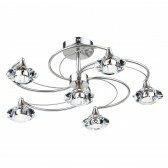 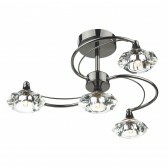 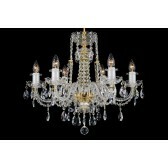 A twelve-arm crystal chandelier that can decorate spacious interiors with low ceilings. 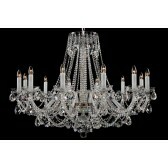 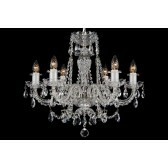 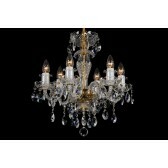 Upper and lower parts of the chandelier are decorated with crystal chains which also replace the column. 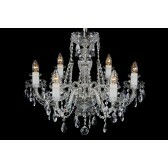 We use many leaded chains so that the chandelier shines beautifully. 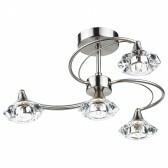 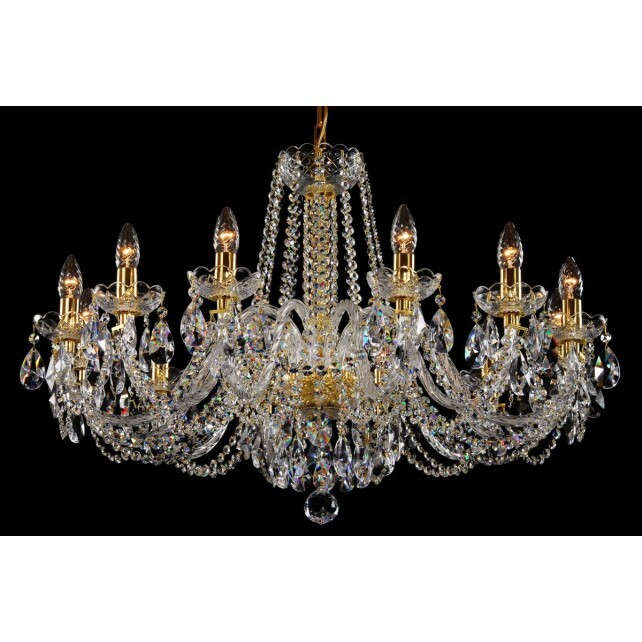 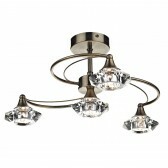 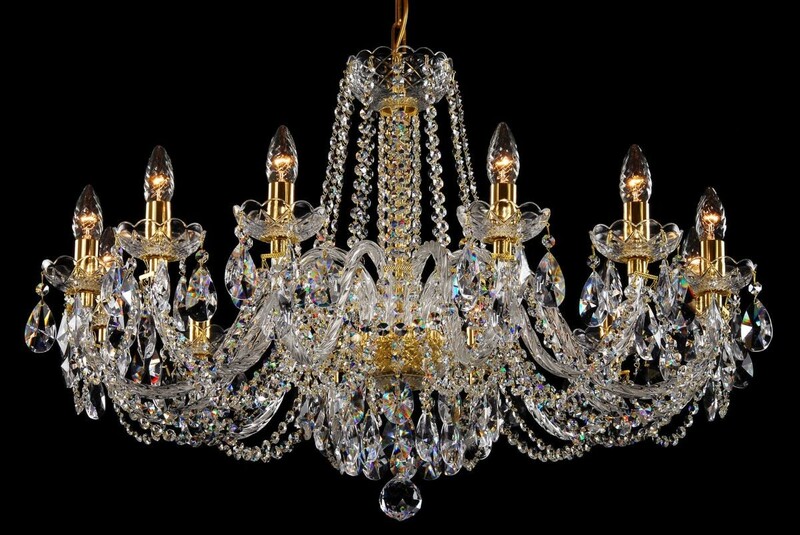 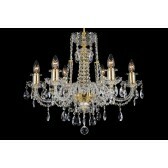 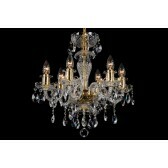 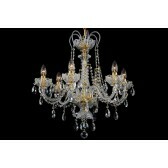 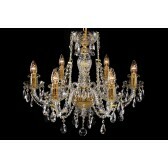 The clear crystal combined with gold coloured fittings is recommended for interiors with golden decorations. 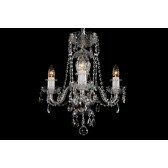 The chandelier can be combined with smaller eight-arm or ten-arm chandeliers of the same design or complemented by two-arm crystal wall lamps of the same colour.